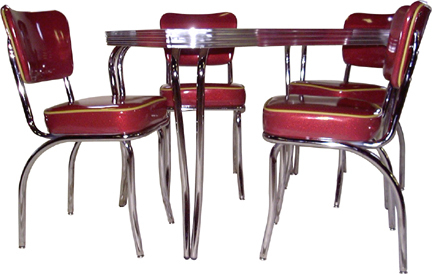 New Retro Dining Restaurant Furniture, Dinette Sets, Bar Stools and Booths, Mid Century Modern Style. 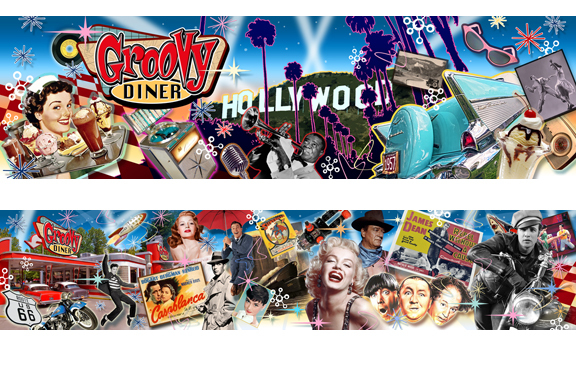 CLICK HERE to see our IN-STOCK and ON-SALE items at 25% Discount. 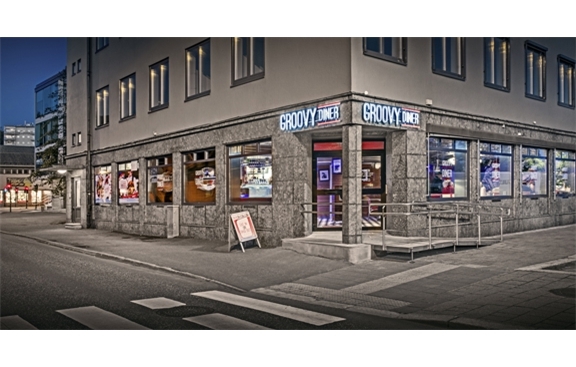 NewRetroDining.com is proud to announce the grand opening of our recently built and furnished project, the Groovy Diner, located in Tonsberg Norway. 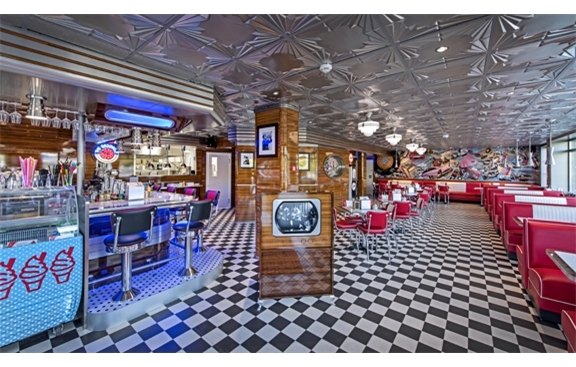 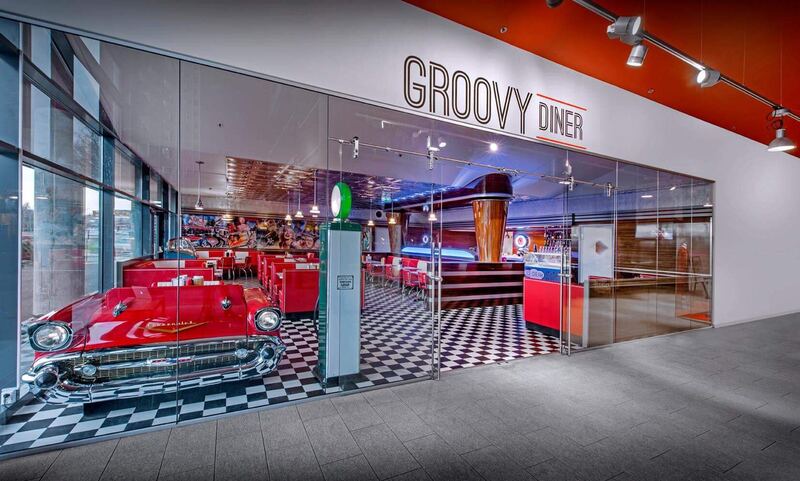 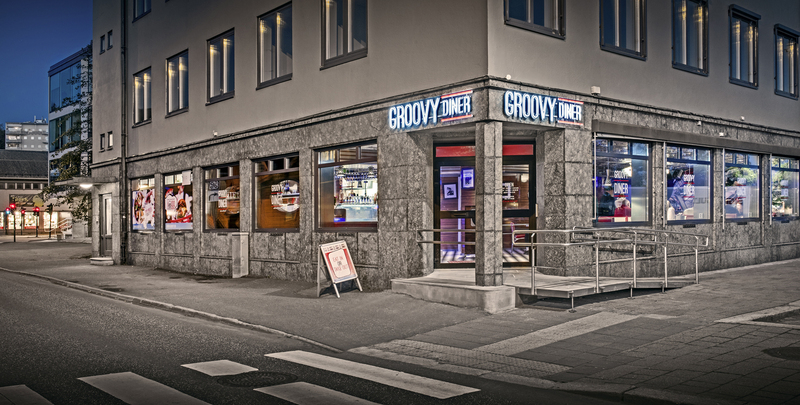 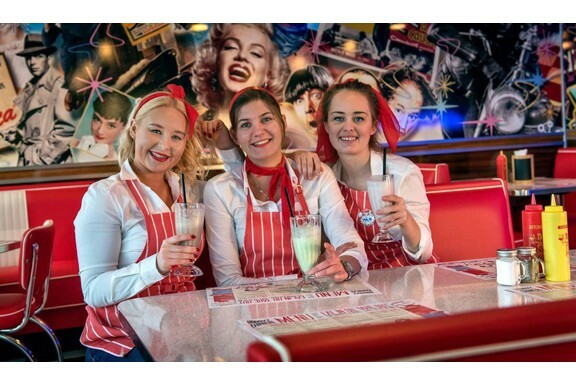 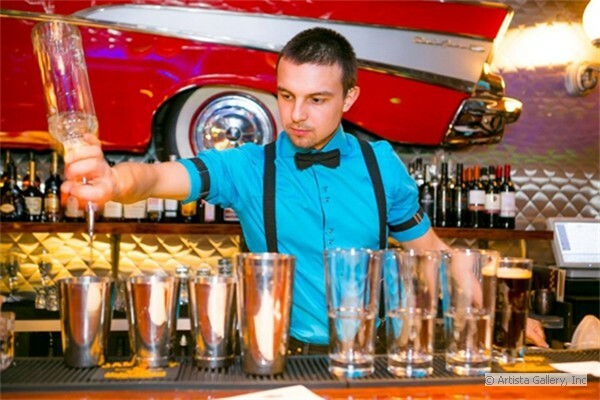 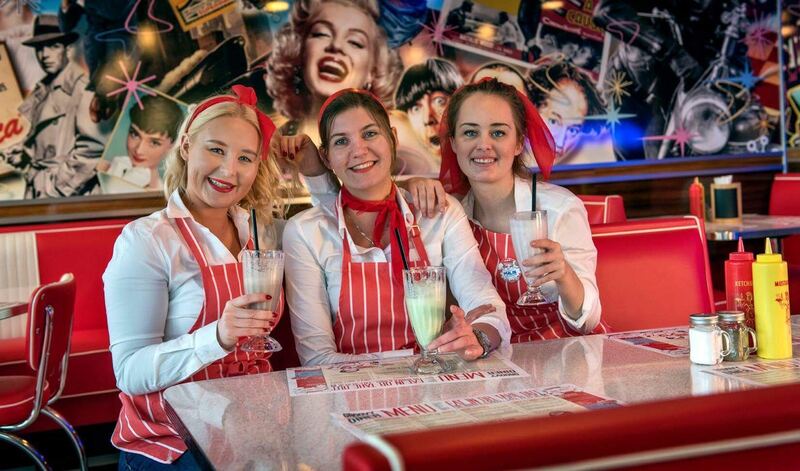 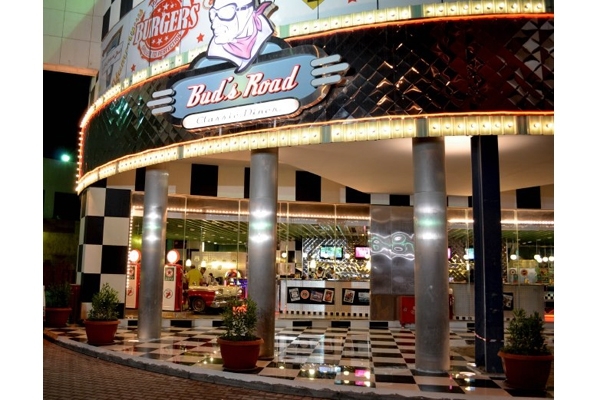 We also have built the Groovy Diner in Stravanger, Norway and one in Drammen and now one in Sandefjord. 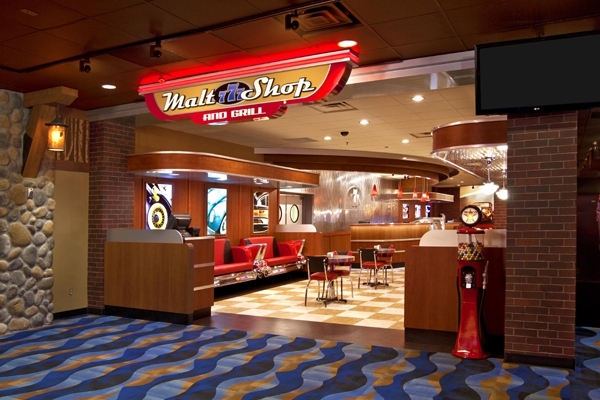 To see a video walkthrough Click Here. 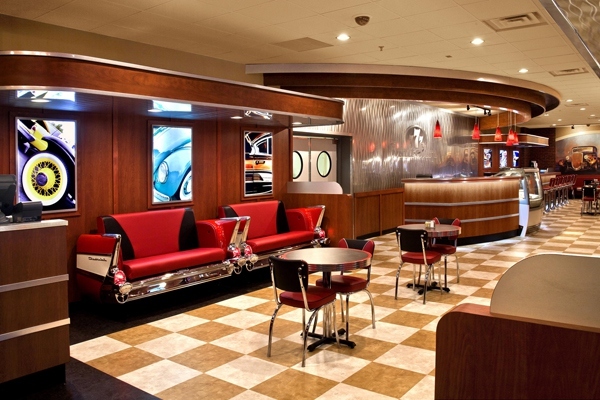 The complete Millwork, decor and furniture package is designed and built by our www.NewRetroDesign.com and the 1957 Chevrolet Bel Air Car Couch is from www.NewRetroCars.com. 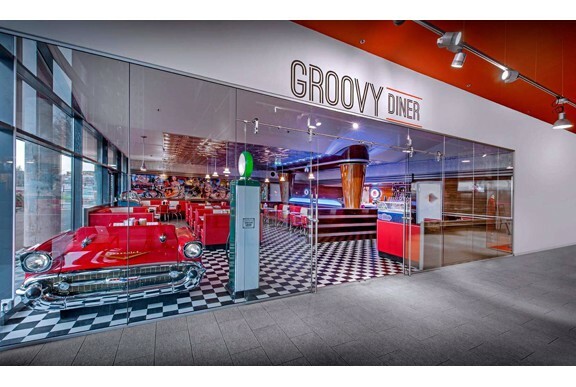 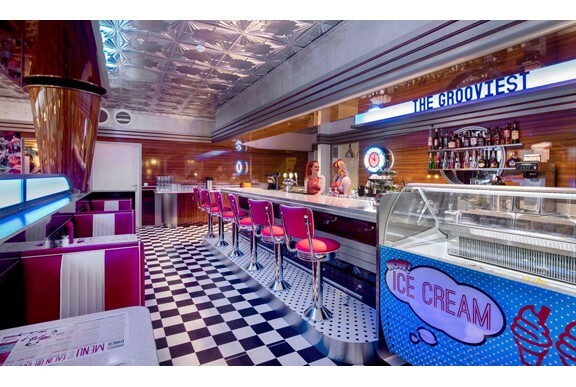 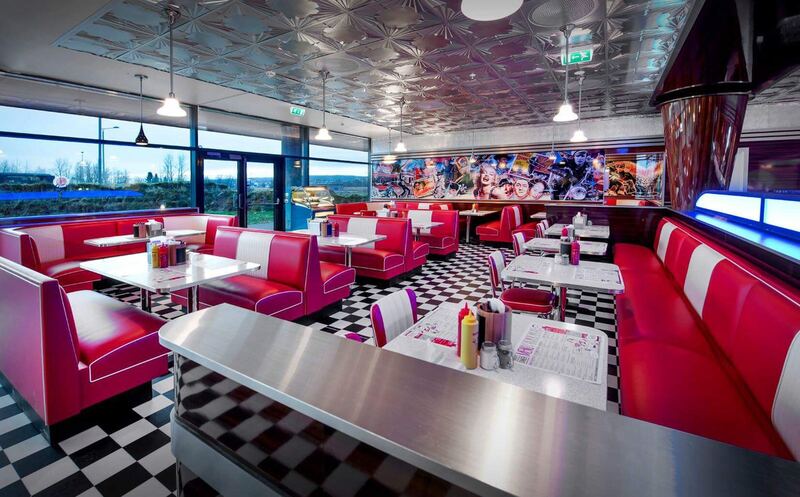 Norway certainly loves the New Retro Groovy Diner's look. 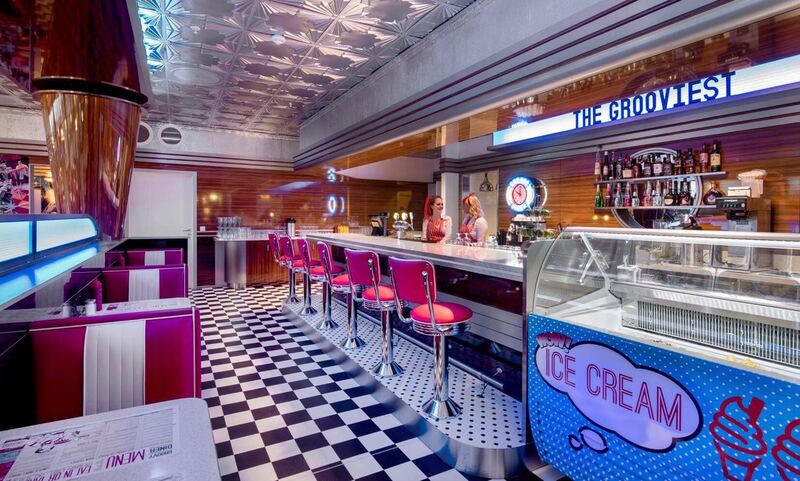 Please visit our NewRetroDesign.com Restaurant Design Services Department. 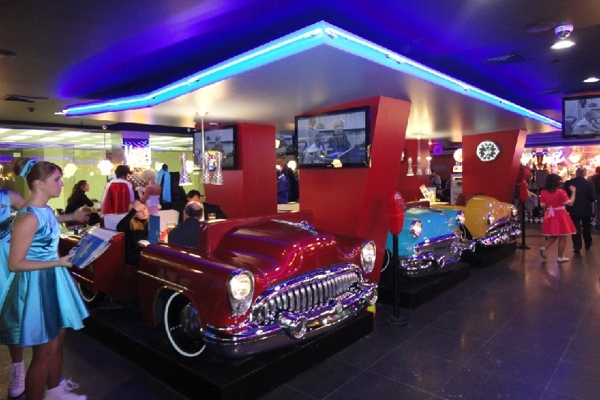 Also, please visit our NewRetroCars.com Restored Classic Car Furniture and Decor Department. 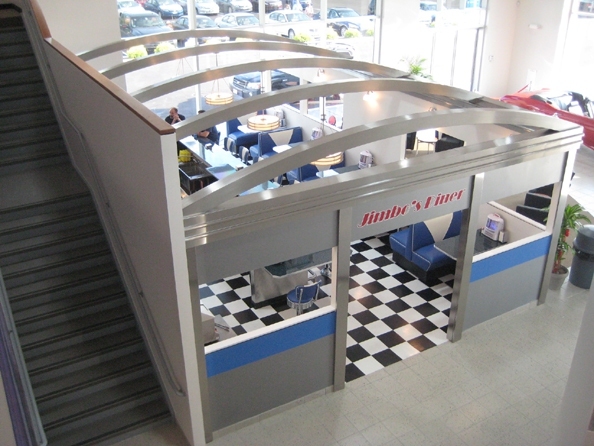 Inside the showroom View from above. 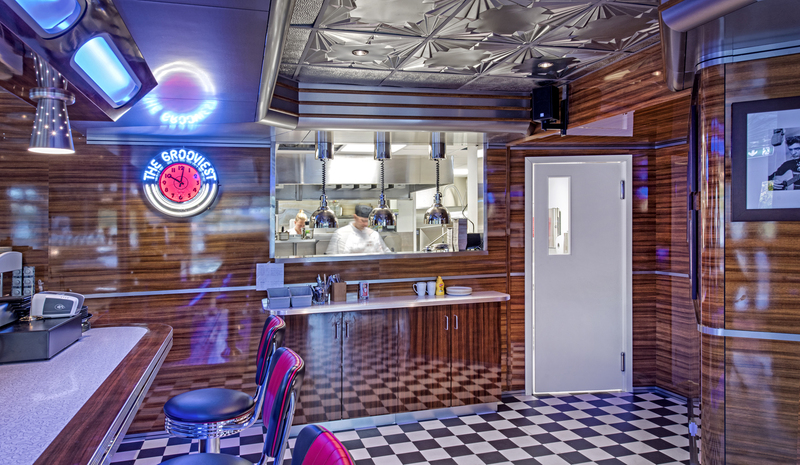 Chief flipping burgers behind the diner counter. 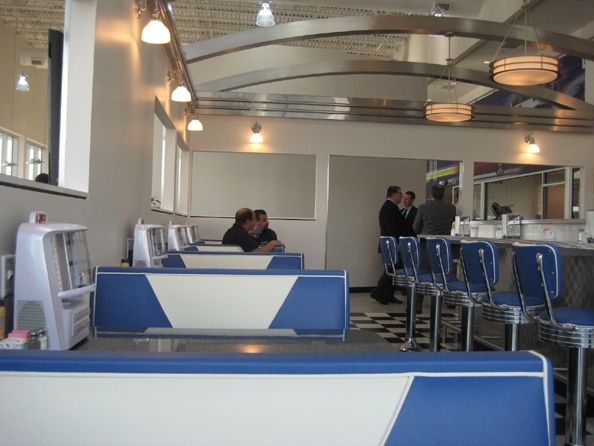 NewRetroDining.com "V"- back booths and stools. 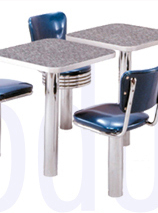 NewRetroDining.com "V"- back counter stools. 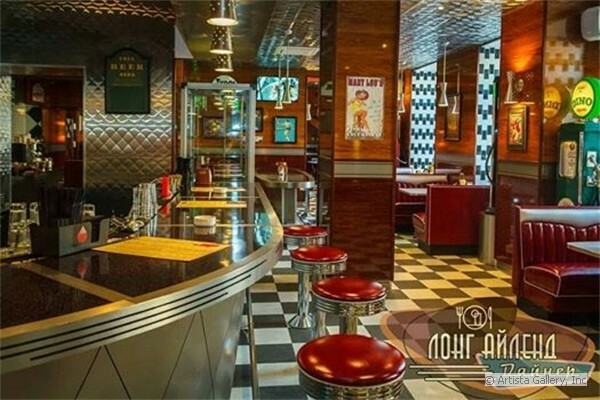 NewRetroDesign.com Artifax Design is proud to provide the custom retro design services, booths, tables, chairs, metal ceiling tiles, car booths, stools and unique decor for the Beverly Hills Diner 1 and 2 in Moscow, Russia. 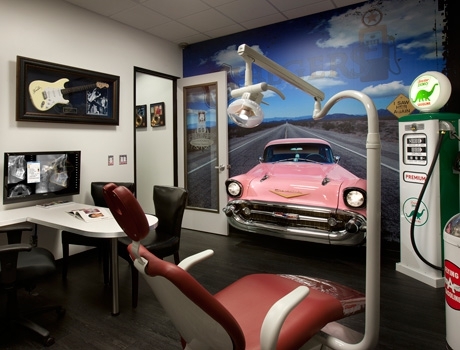 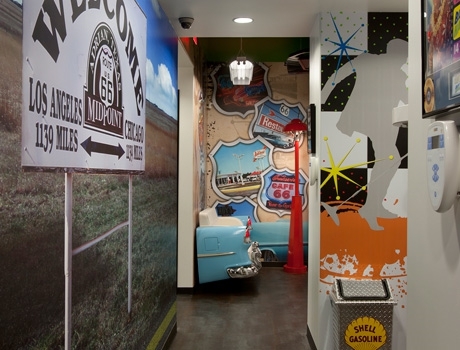 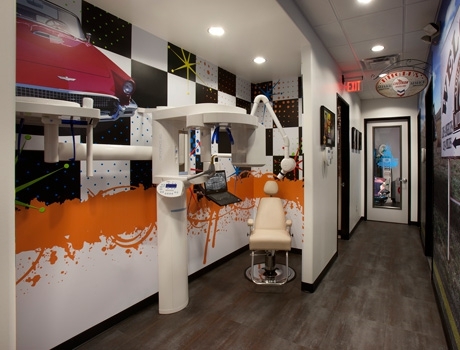 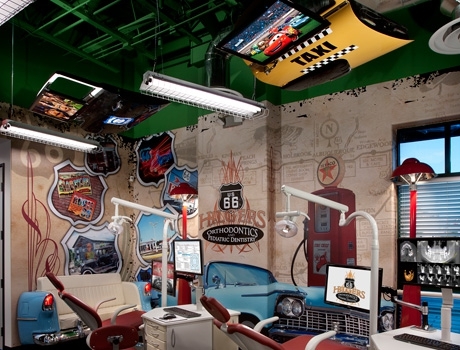 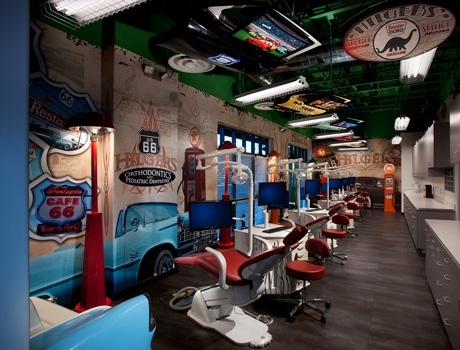 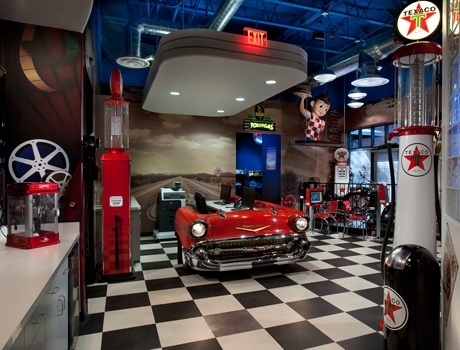 It has an exterior parking lot themed area featuring our custom car booths (yes those are real cars!) 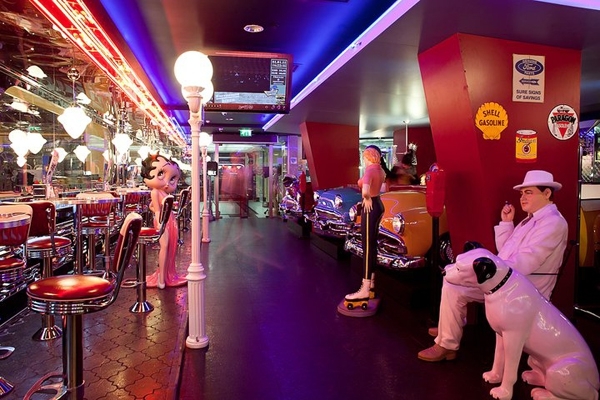 and neon wrapped drive in style canopy. 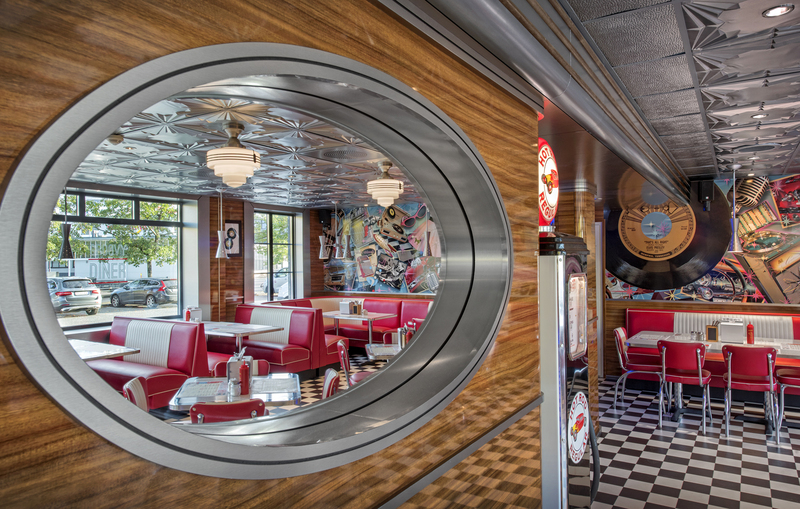 The design features authentic metal ceiling panels, wood style composite plank floors, and retro styled furniture including Boomerang laminate table tops. 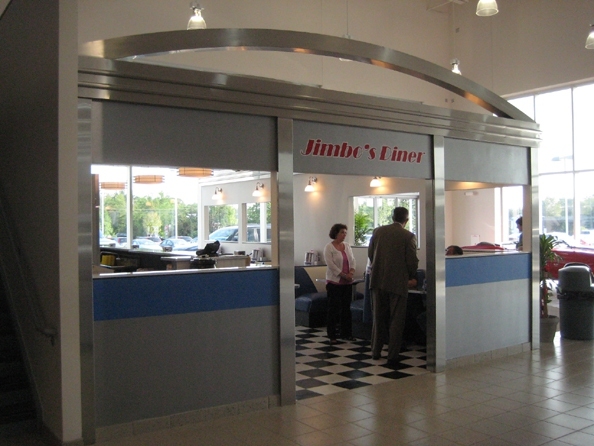 Car booths and Russian Models. 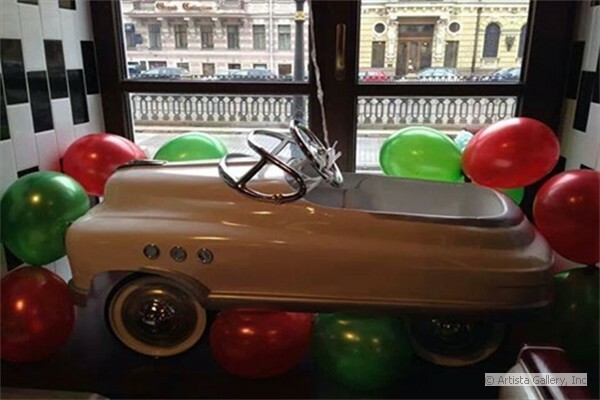 Car booths and Server on Russian TV. 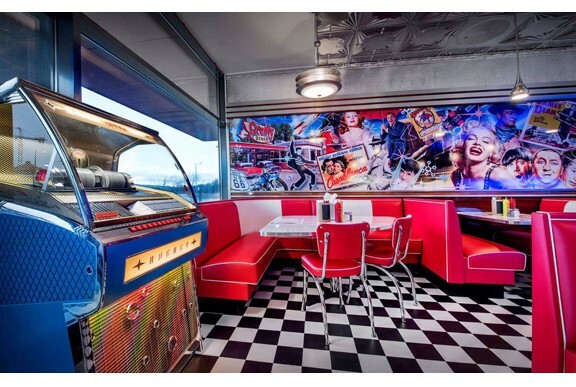 Car booths and Server at the diner. 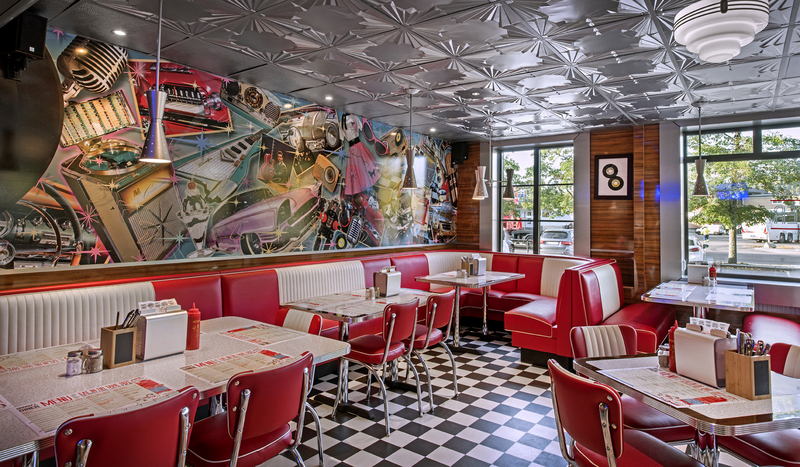 Diner booths, mural art and metal ceiling tiles. 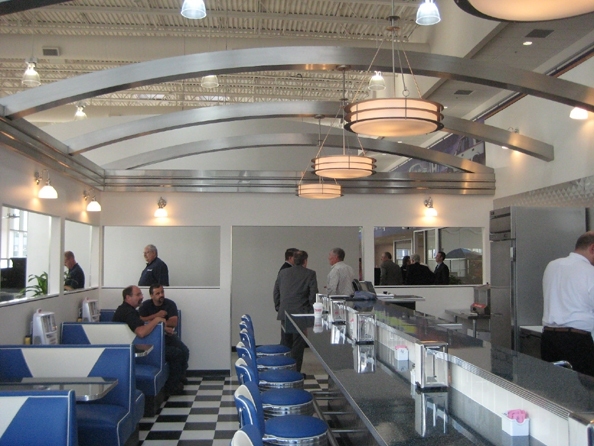 Diner booths,lighting and metal ceiling tiles. 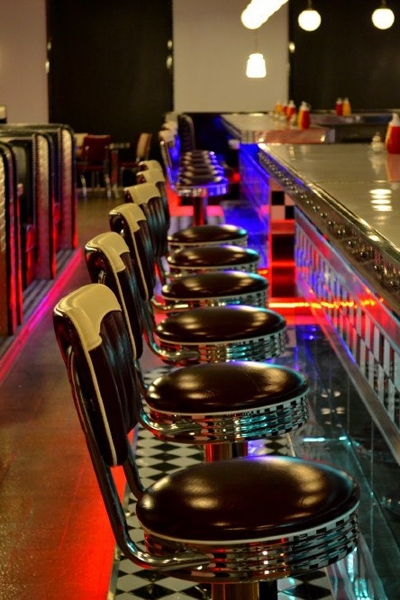 Retro bar stools and decor. 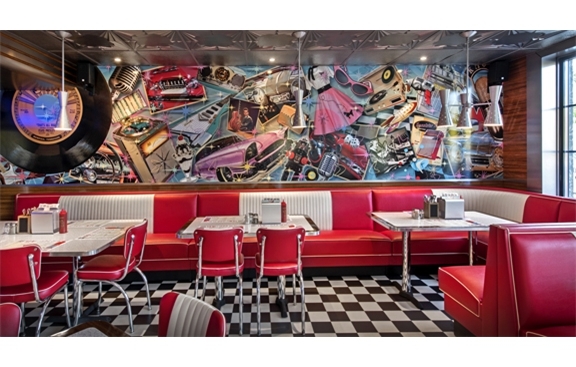 The Blues Brothers, car art and decor. 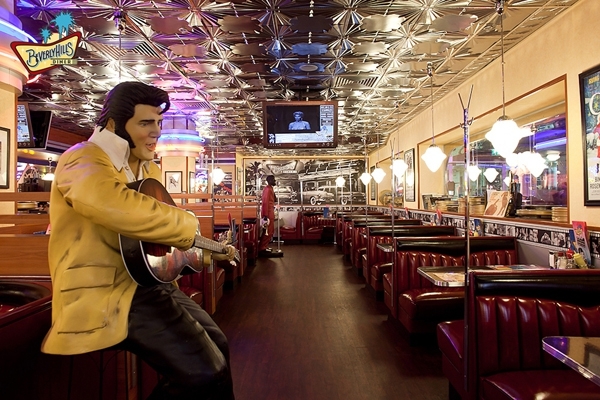 Elvis is in the house at the diner. 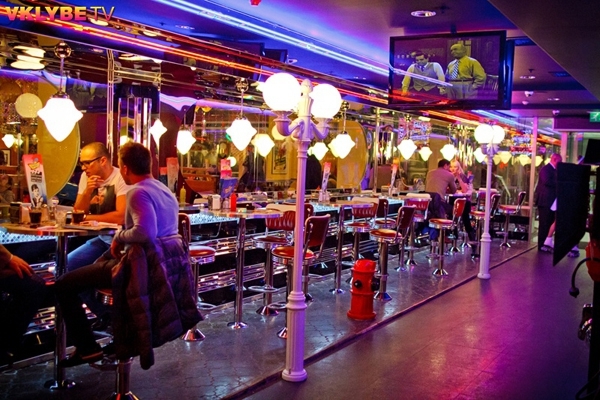 Retro bar on Russian TV. 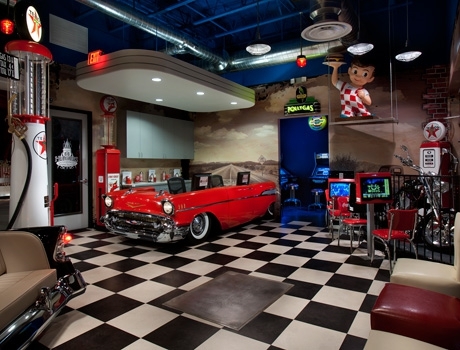 Betty Boop at the retro bar. 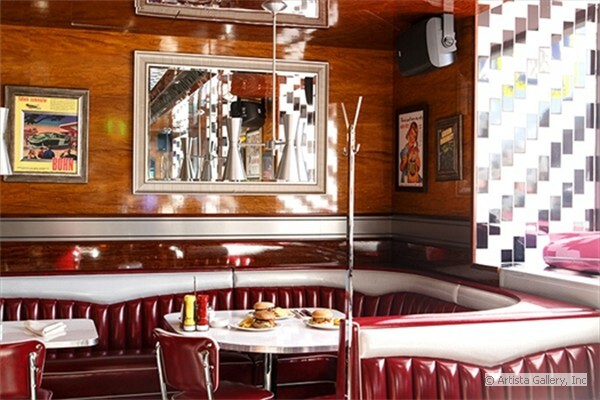 NewRetroDining.com, custom USA Made restaurant furniture which has a retro "Feel-Good 50's" style or we can customize to meet your specified requirements. 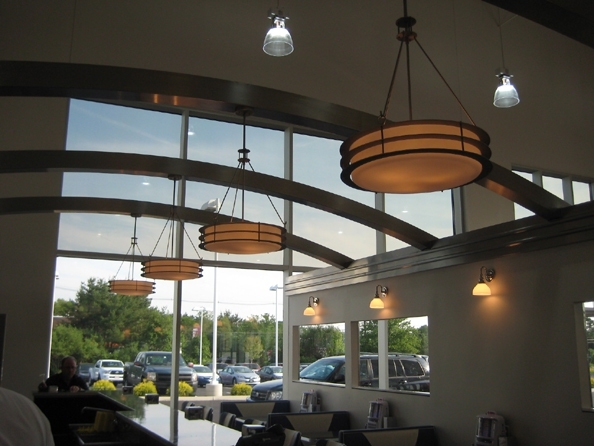 Great for commercial and residential use. 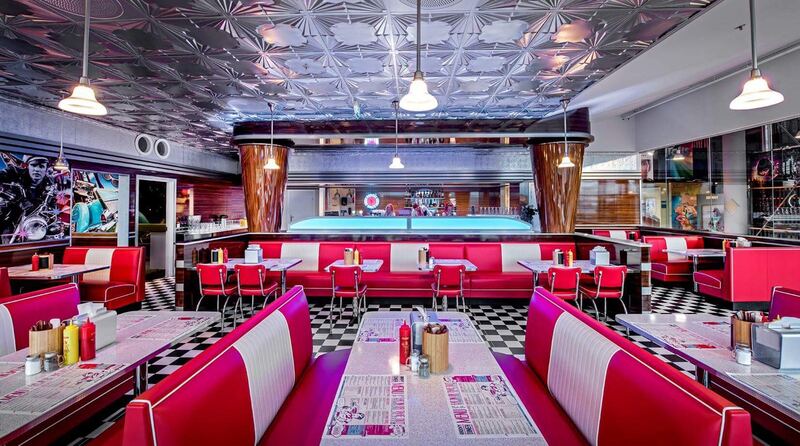 We offer every option to inspire the "Mid-Century Modern Furniture" new retro dining thinking imagination! 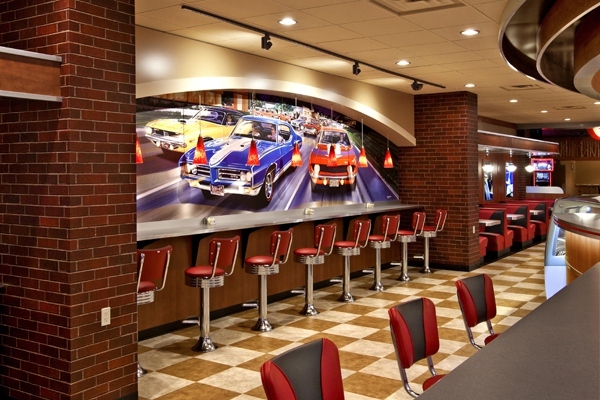 Quality Dining Furniture Proudly Crafted by American Workers! 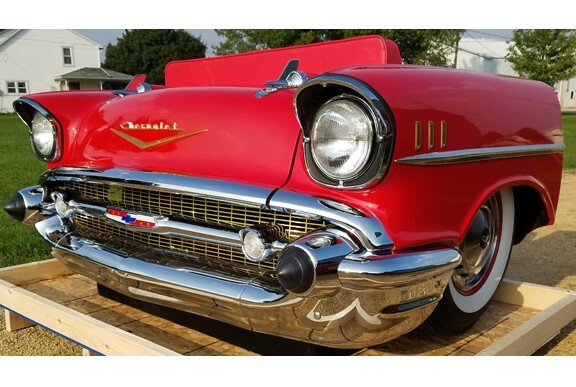 CLICK HERE to see our IN-STOCK and ON-SALE items. 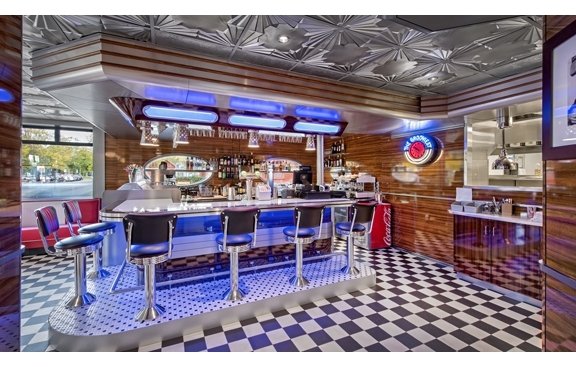 NewRetroDining.com as seen on the Style Network Clean House: Search for the Messiest Home in the Country. 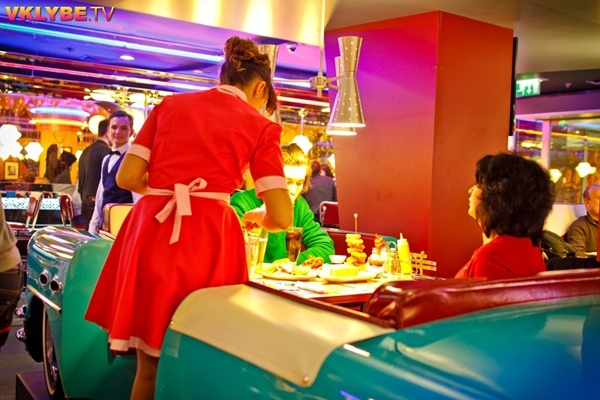 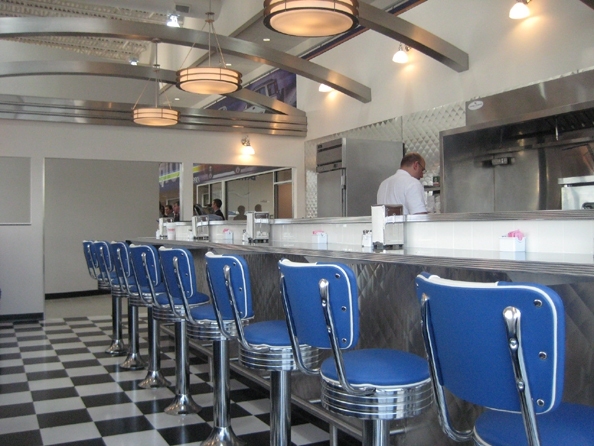 We provided our custom built retro 50s Diner furniture to the show's designers for Clean House, Messiest Home '09: Mind Games. 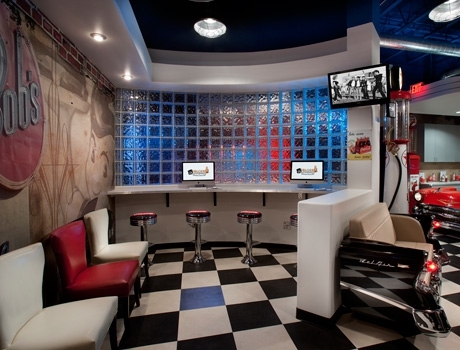 Our Modular set, Bar Tops and Stools helped turn a family's basement in Cincinnati into a retro 50's Diner Style Game Room to be proud of. 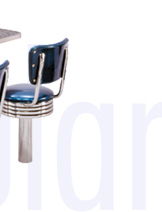 Please click here to view our OUTDOOR SEATING Furniture Collection. 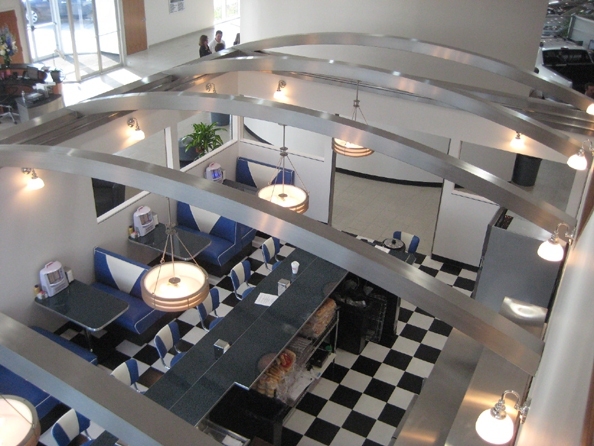 Please click on the images below to view the details of the mid-century modern, restaurant furniture, retro dining kitchen furniture and dinette sets, bar stools, benches, accessories, neon clocks and retro lighting to see larger views, details, pricing and ordering information or our 50's retro dining furniture collection. 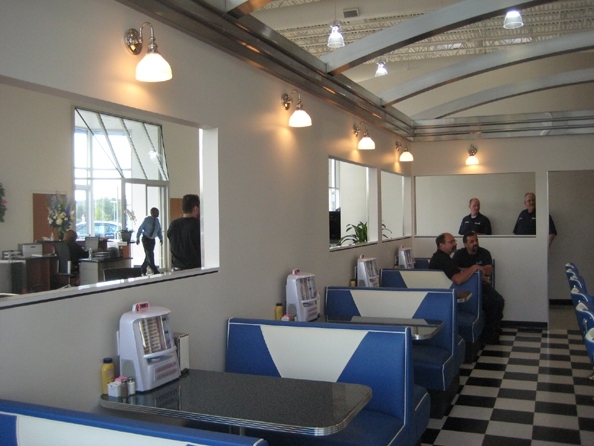 The following New Retro Dining Booth Seating is available in single, double, wall booth, 1/4, 1/2, & 3/4 Circles or any custom configuration you need. 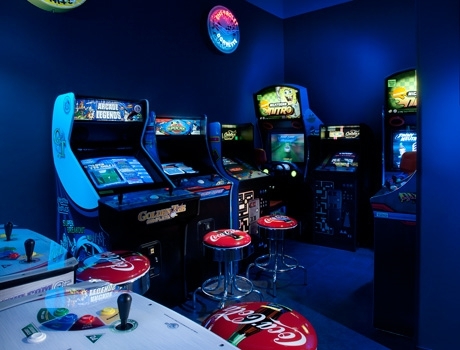 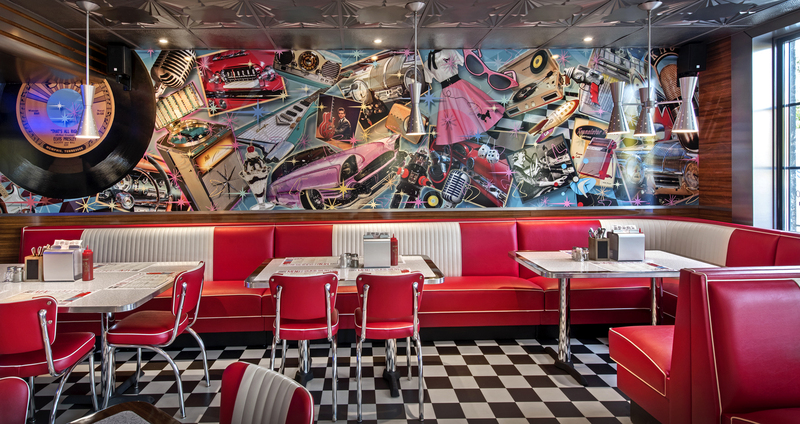 We can provide you with World-Class New Retro Interior Design Services. 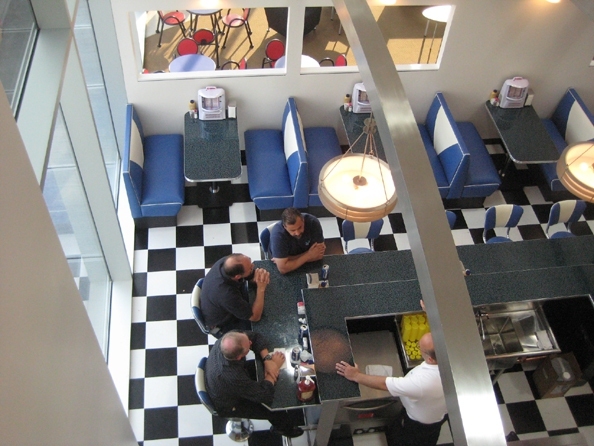 Call us anytime and talk with one of our experienced restaurant and home Mid-Century Modern Furniture consultants. 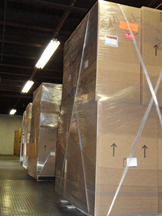 We can help you decide what you need and provide you with a quote, including shipping, within minutes, just give us a call at (478) 320-2502. 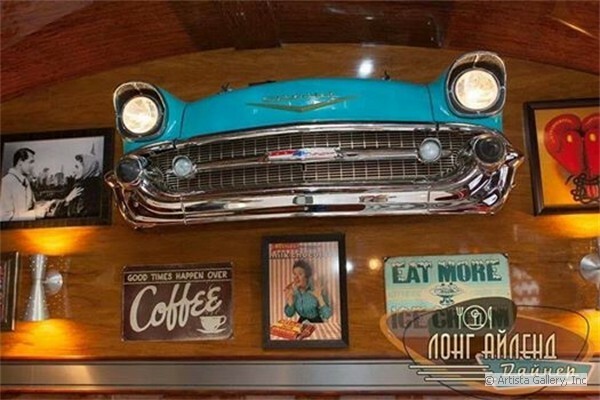 Our original car furniture is made from original cars and equipment (these are not reproductions). 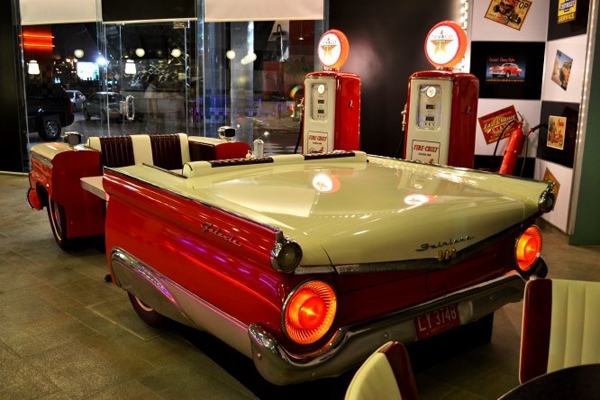 This 1960 Cadillac Sofa Couch was an American Restoration Project. 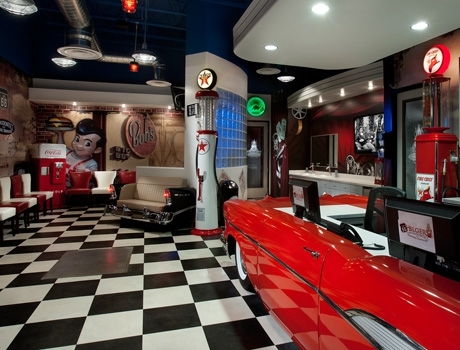 In the Sofa King Cool episode Rick Harrison arrives at Rick Dale's shop looking for a birthday present for his son Corey. 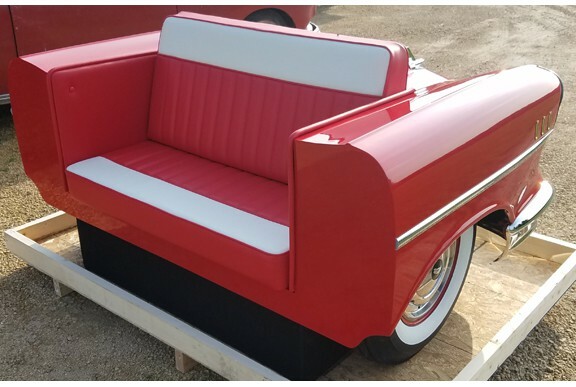 This is THE custom built 1960 Cadillac Couch that was made for Rick Dale of American Restoration. 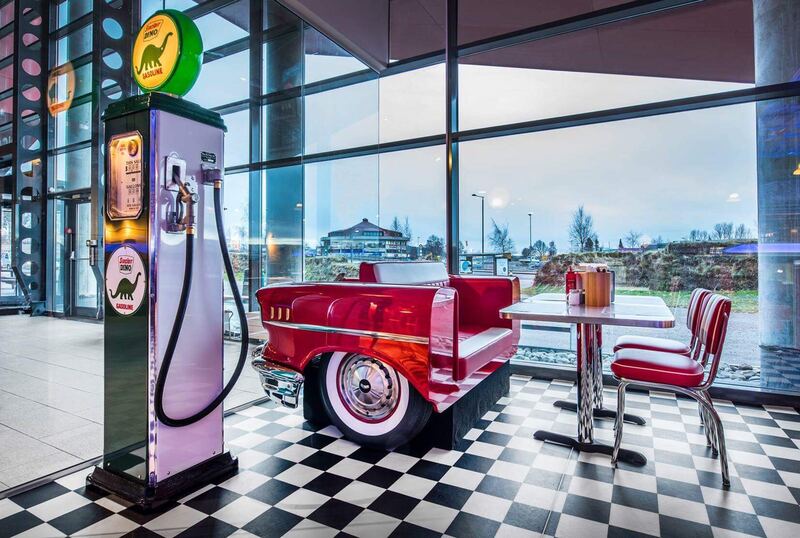 It has black exterior and black vinyl interior. 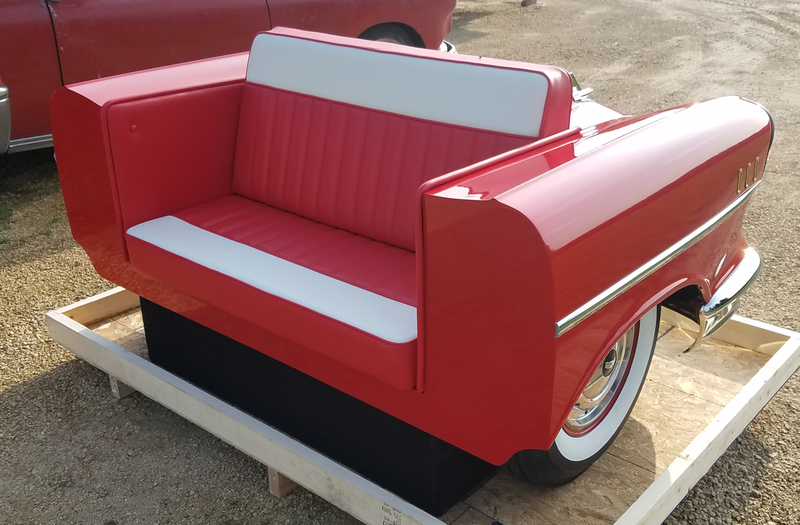 We want to make sure that people know that we received the parts back from American Restoration and we are going to offer to make the exact same couch for the customer that buys this. 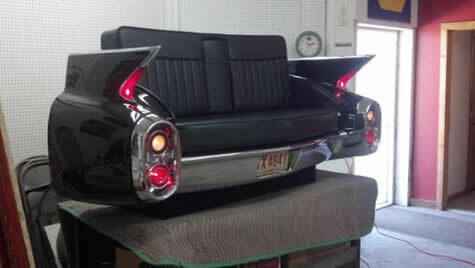 Please call us at (478) 320-2502 to get you very own 1960 Cadillac Sofa Couch, just like Corey. 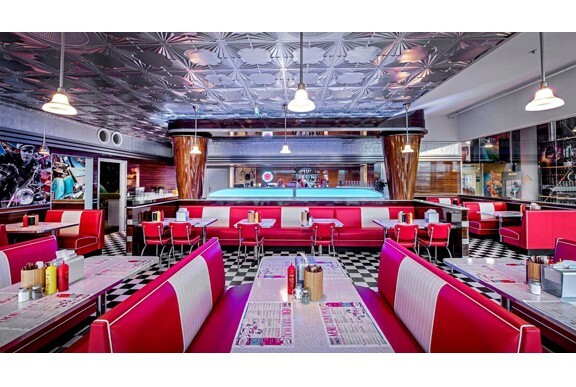 New Retro Dining - 50's Style Residential and Commercial Retro Dining Furniture. 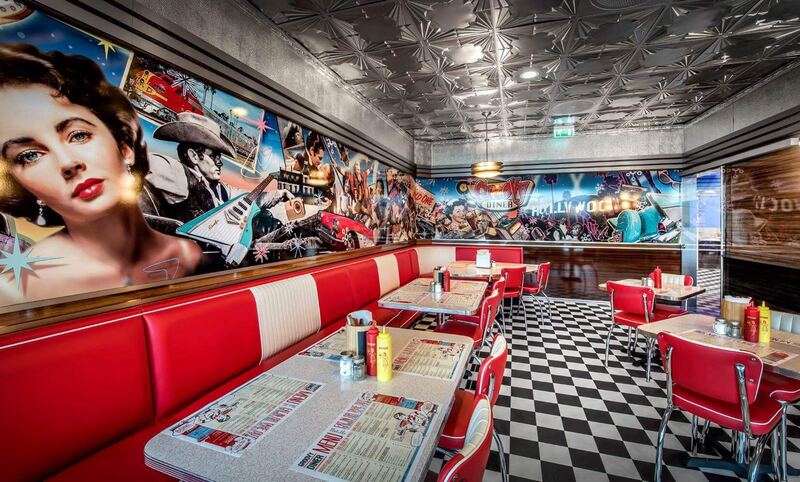 Our 1950's style retro restaurant furniture is as comfortable as it looks. 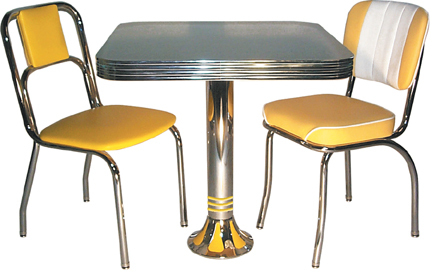 We provide new retro dining furniture for the US Army Task Force Med in Afghanistan, diners, restaurants around the world, including France, Australia, UK, Russia, Finland, New Caledonia, We specialize in ice cream stores, youth centers, employee break rooms, game rooms, and your very own cool-daddy kitchen with a retro 50's Kitschy Mid-Century Modern Furniture style. 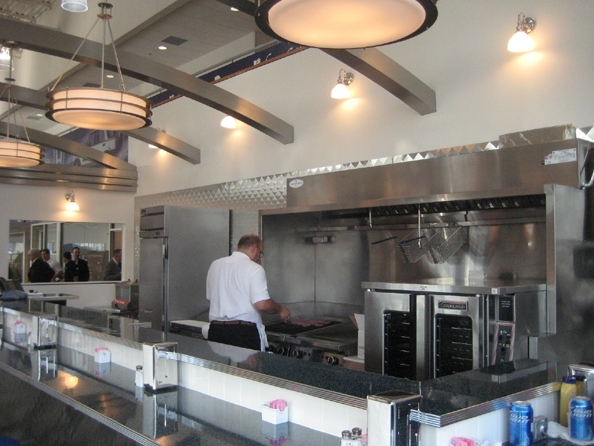 Check out our Restaurant Design Department. 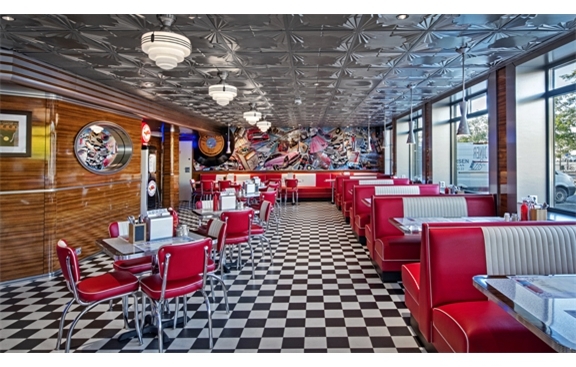 Our Classic Diner Collection offers new 1950's style diner tables, retro chairs, booths, benches and swivel bar stools. 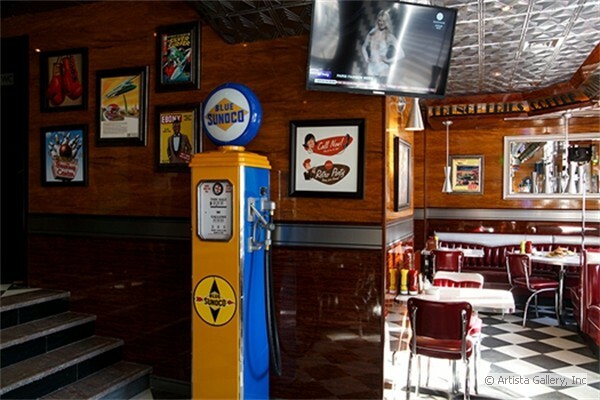 Our standard items are made with heavy duty chrome plated 16 Gauge tubular steel frames which is 25% thicker than 18 Gauge and have a Lifetime Warrantee. 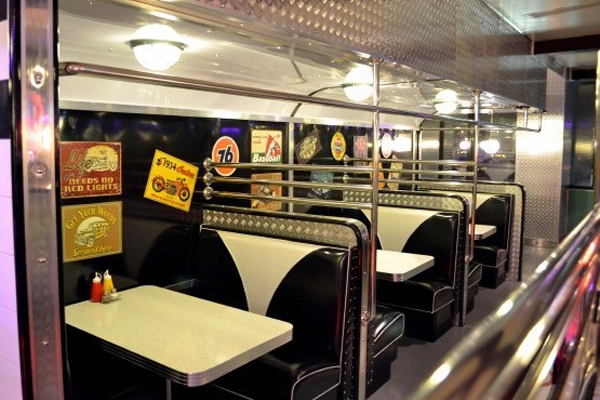 Our Heavy Duty Diner Collection offers new 1950's style diner tables, retro chairs, booths, benches and swivel bar stools which are made with even heavier duty chrome plated 14 Gauge tubular steel frames which is 56% thicker than 18 Gauge and have a Lifetime Warrantee. 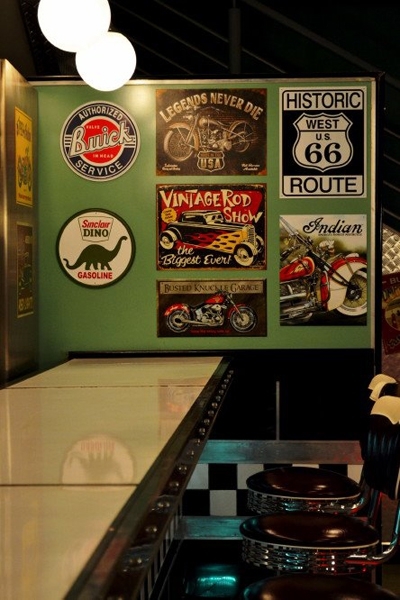 Now selling custom neon clocks with either 20" or 25" cases. 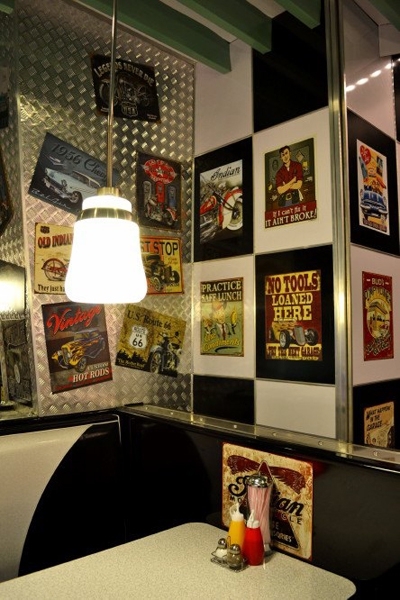 These are On of a kind works of hancrafted neon art using a state-of-the-art precision clock movement. Please scroll through our 100% Made in the USA New Retro Dining collection of Classic Diner Tables featuring 1-1/4" or 2-1/4" Bright Grooved Aluminum Edge and your choice of Standard Matte, Premium High Gloss Boomerang or Exclusive High Gloss Cracked Ice laminates. 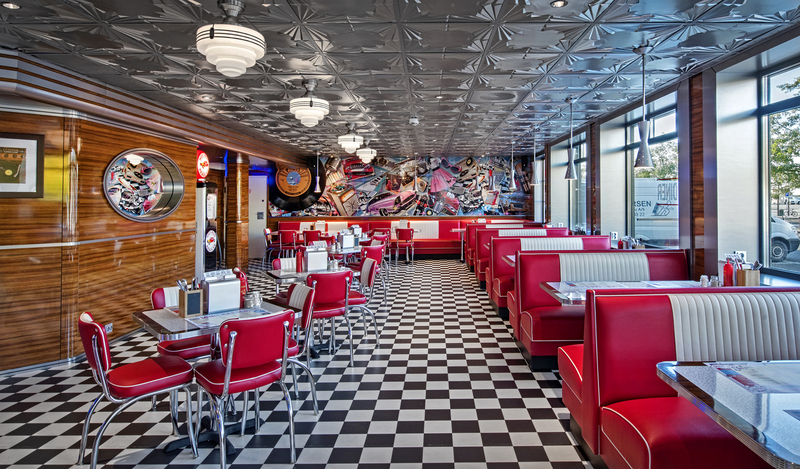 The Classic Diner Collection of Chairs, Stools and customizable booth benches offer top and high quality Commercial Grade 1, Grade 2, Grade 3, Grade 4, Grade 5 and Grade 8 vinyl options. 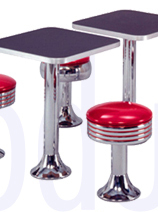 Our retro furniture dinette set chairs, kitchen counter swivel bar stools and booths come with thick foam padding and durable Commercial and EU approved Grade Naugahyde, Seaquest and Cracked Ice vinyl. 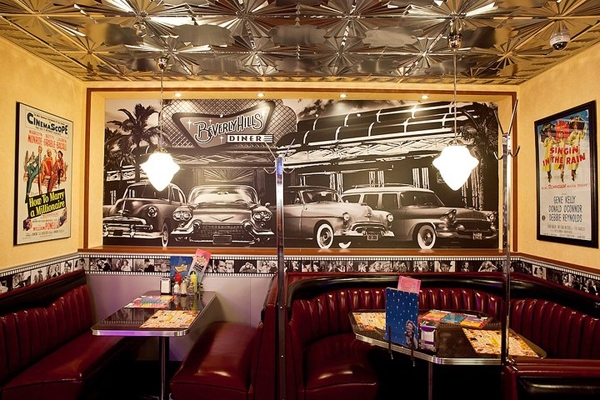 Please ask about our NewRetroDining.com Gift Certificates. 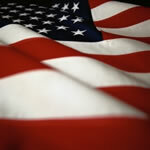 Don't be fooled by low quality foreign imports. 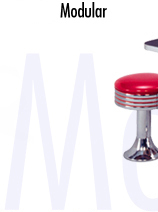 Our Mid Century Modern 50's style new retro dining furniture collection is Proudly Made in the U.S.A., and built to last a lifetime. 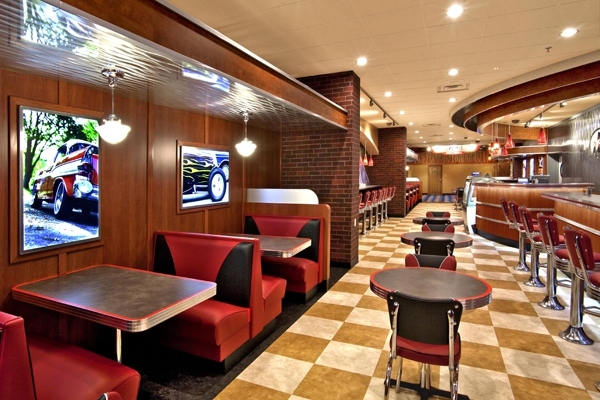 Commercial grade for restaurants or home decor. 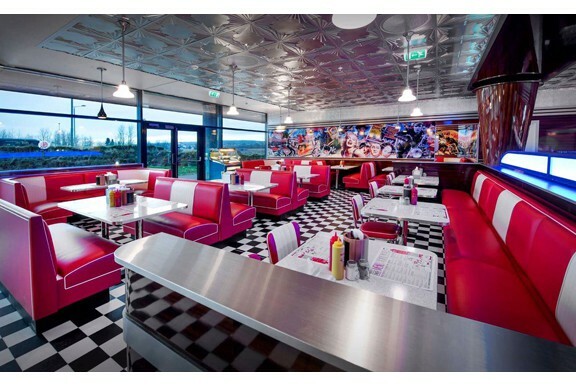 Please Click Here or on the images below for a tour of the factory floor. 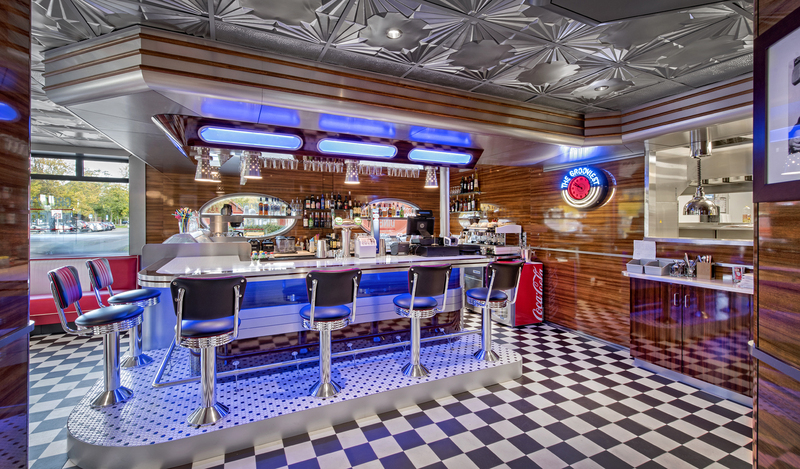 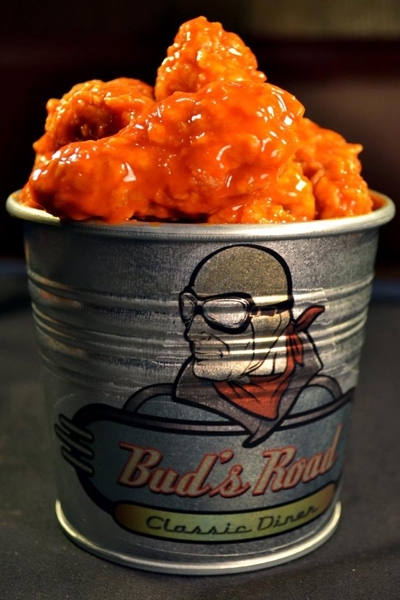 Click Here for Information About Our World Class Restaurant Design Services! 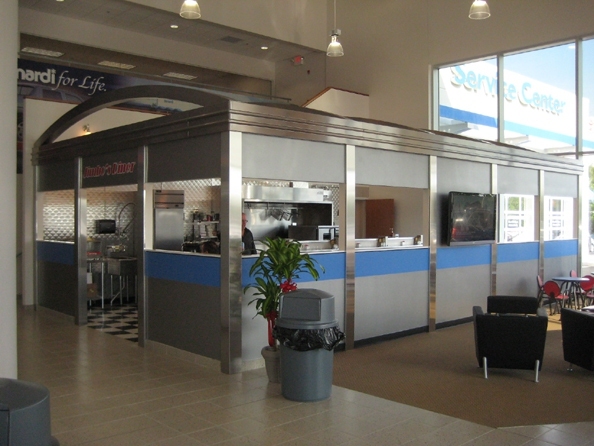 Customer Care is our #1 Priority - which makes you #1 with Us! 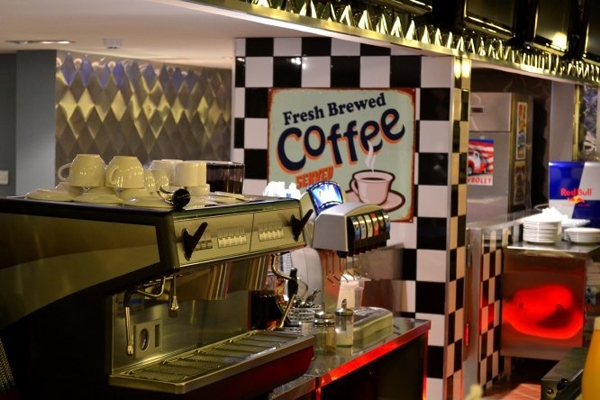 Whether it's time for your retro 50's kitchen remodeling project or you're in the market for something fun, we hope you will consider your kitchen designs carefully and select our retro kitchen furniture. 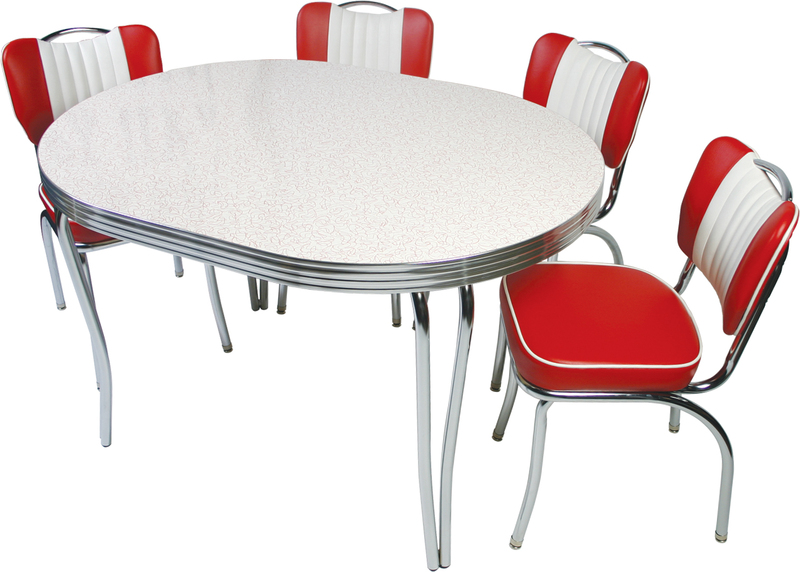 You can now enjoy the comfort and secure feeling of our new 50's retro dining furniture, sent to you direct from the factory floor with discount shipping on retro furniture sets. 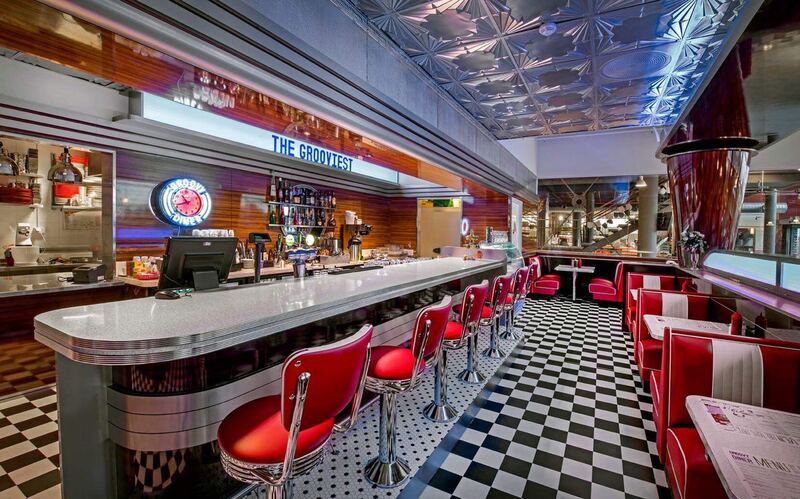 Our retro 50's counter stool and bar stools will provide you with a total blast to the past experience. 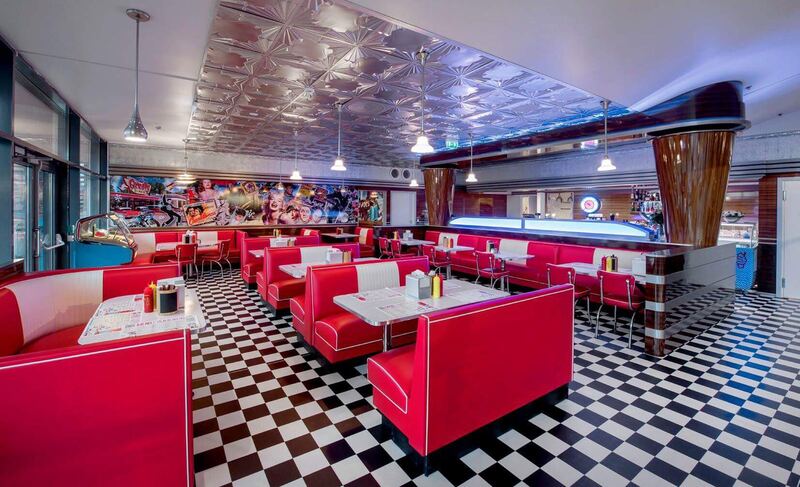 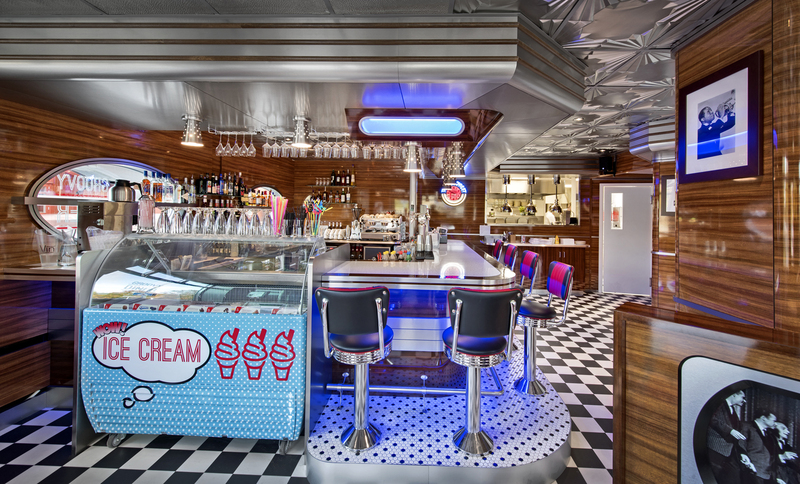 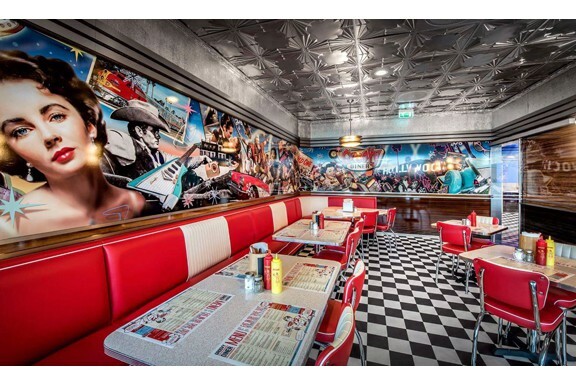 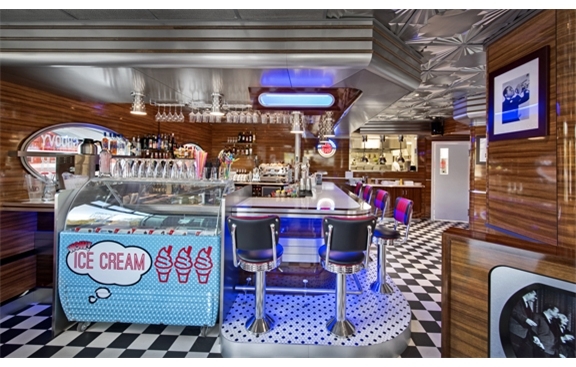 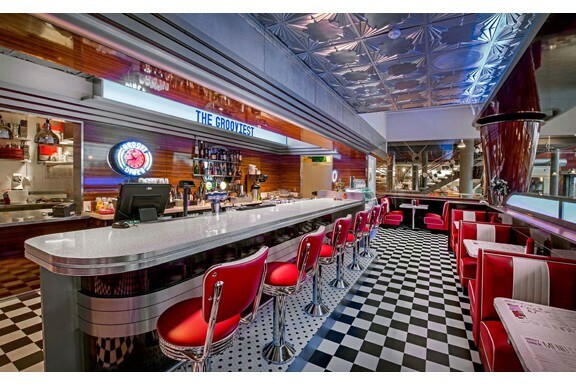 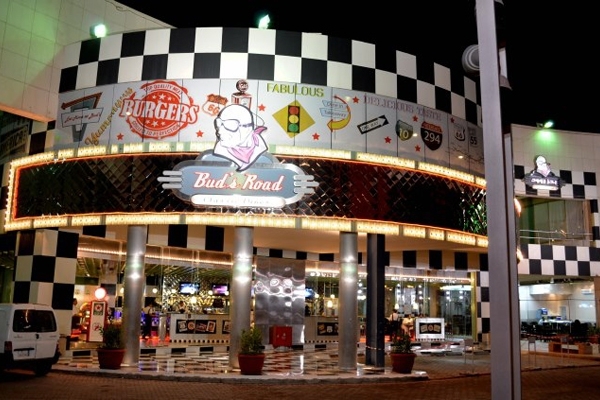 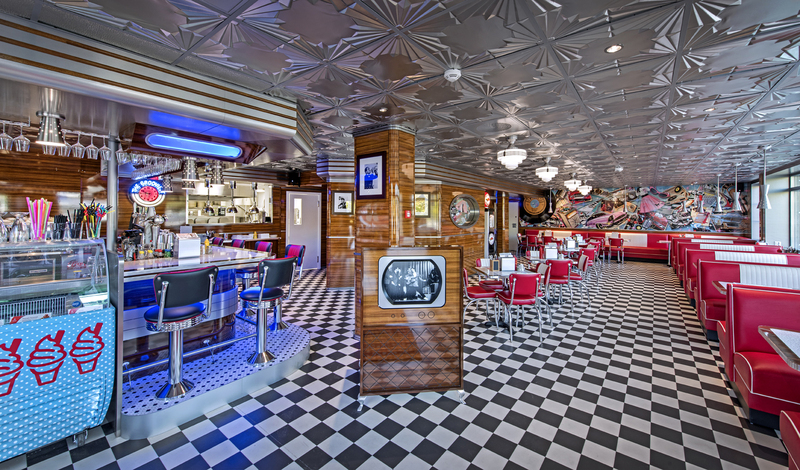 Our ultra-cool classic retro 1950's Diner and kitchen tables and retro chairs, booths, benches and swivel bar stools. 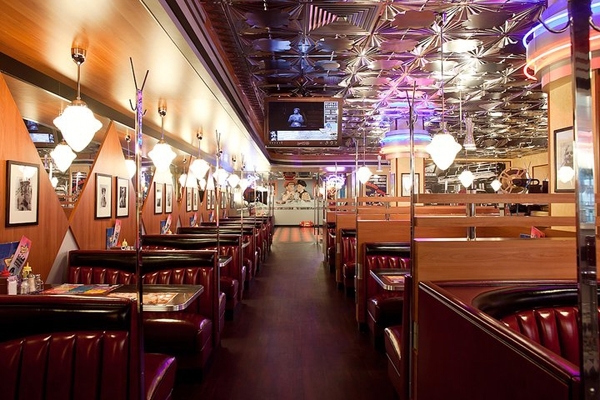 Our restaurant quality furniture and dinette sets will delight you, your family, friends or patrons. 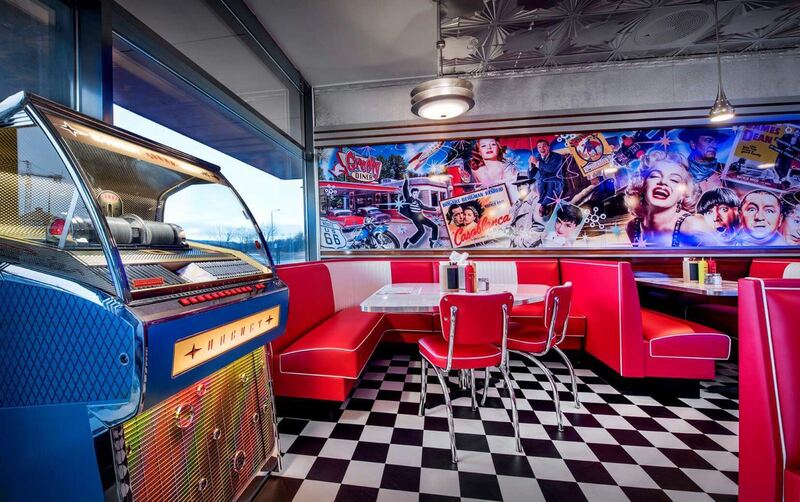 You will enjoy your New Retro Dining Furniture for many years to come as all frames have a lifetime warranty and the vinyl we use is the best in the industry. 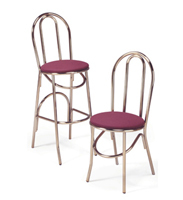 Now our Heavy Duty Series offers 14 gauge tubular steel. 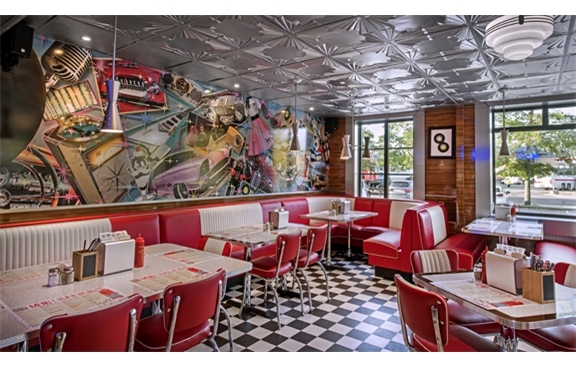 Be creative - Mix and Match any Booth, Table or Chair! 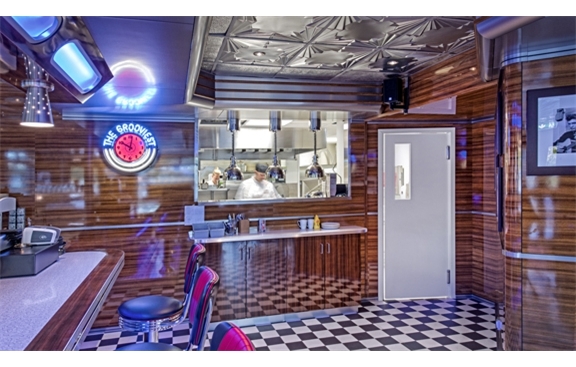 Click here for our information about our unique Restaurant Design Services! Our New Retro 50's Dining Furniture is made on a per order basis. 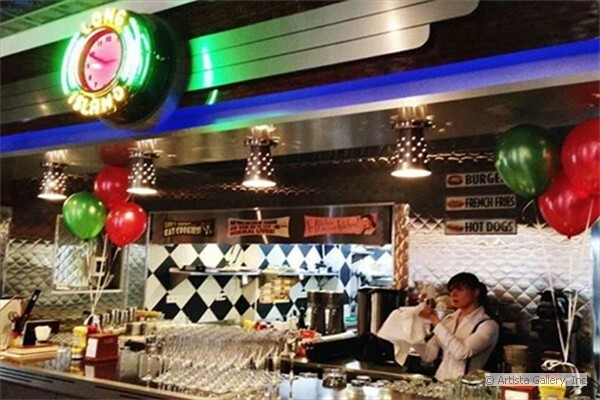 Why Does Steel Gauge Go Up, As Thickness Goes Down? 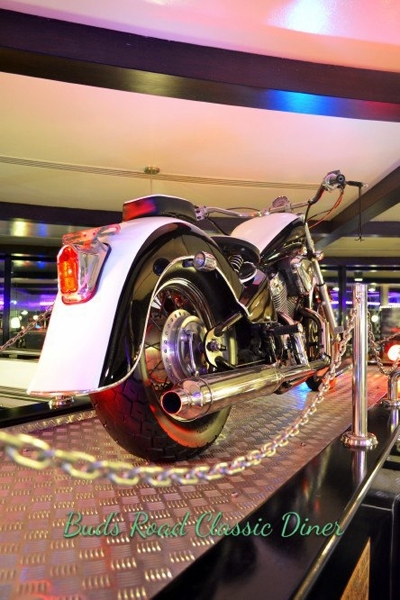 Many people ask us "Why does the thickness of steel diminish as the gauge increase (i.e. 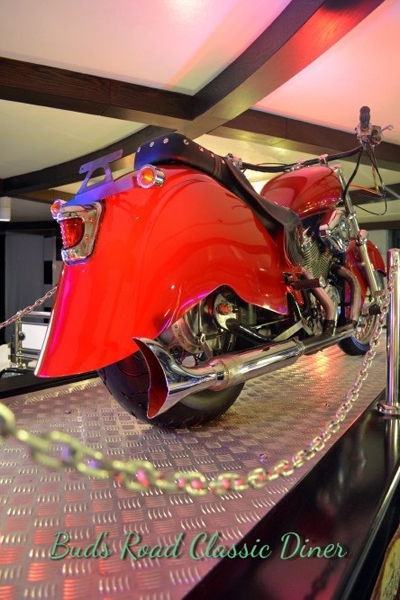 14 gauge steel is thicker than 16 gauge steel). 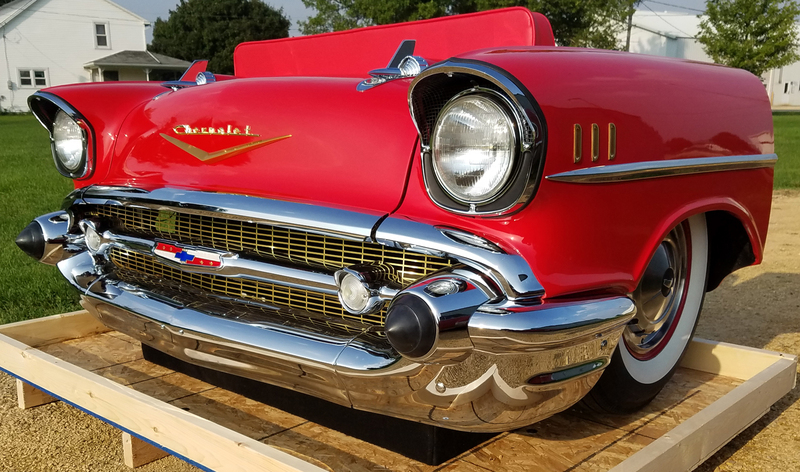 The explanation comes from the original development of a gauge measurement system in which the control measurement was based on 1" thick steel plate. 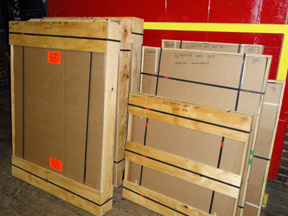 From this base thickness, the steel was measured in diminishing fractions such as 1/14", 1/16", 1/20" and so on. 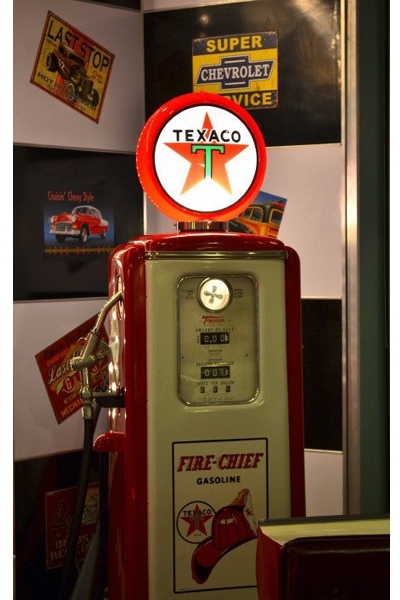 The bottom number of the fraction was adopted as the "gauge" and so 1/16" became 16 gauge, 1/20" became 20 gauge. 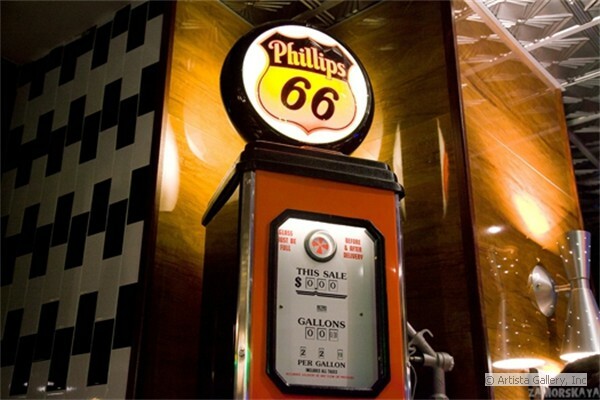 So, the higher the gauge the thinner the steel. 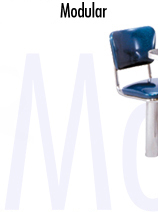 Our standard commercial chairs and stools are made using 16 gauge tubular steel which have tube walls that as a standard are 0.0598 inches thick. 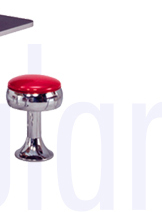 This is 25% thicker than most foreign imports, which are usually 18 gauge tubular steel and is 0.0478 inches thick: ((.0598/.0478)-1) = 0.25. 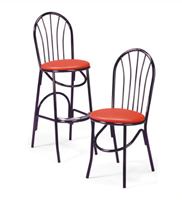 Our Heavy Duty chairs and stools are made using 14 gauge tubular steel which have tube walls that as a standard are 0.0747 inches thick. 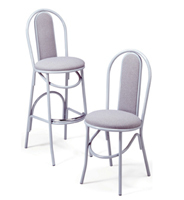 This is 25% thicker than our standard chairs and stools: ((.0747/.0598)-1) = 0.25 Also, our Heavy Duty line is 56% thicker than the typical foreign imports: ((.0747/.0478)-1) = 0.56. 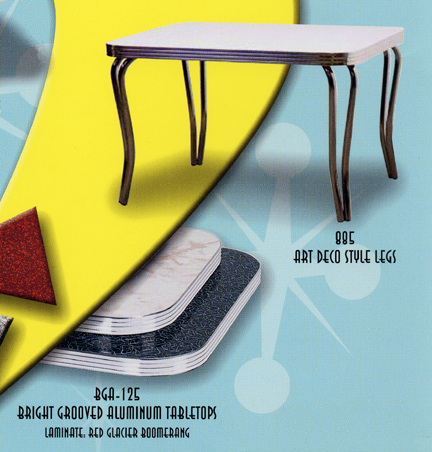 We hope this explains the differences between our Heavy Duty and Standard Commercial product lines. 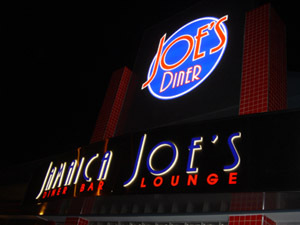 We Accept All Major Credit Cards, Checks, Wire Transfer and Paypal. 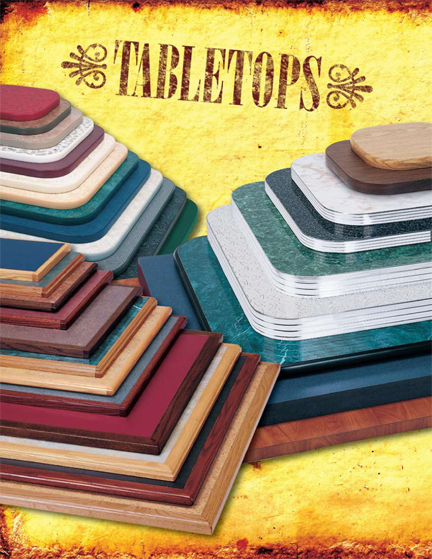 Free Vinyl and Laminate Samples are Available Upon Request. 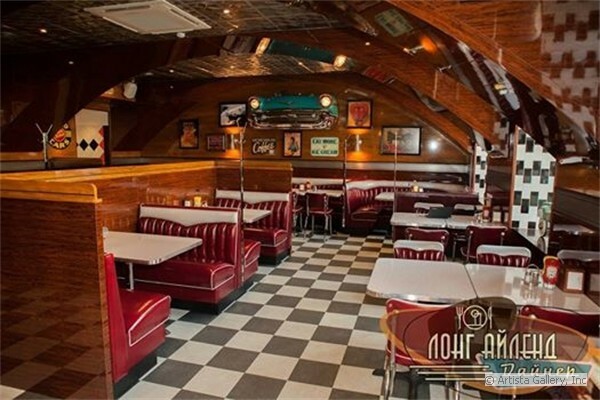 NewRetroDining.com is the proud supplier of fine retro restaurant furniture to Jamaica Joe's Diner, Lounge and Bar, a new Franchise offered by Hog's Breath Company P/L, Airlie Beach, Queensland Australia.? 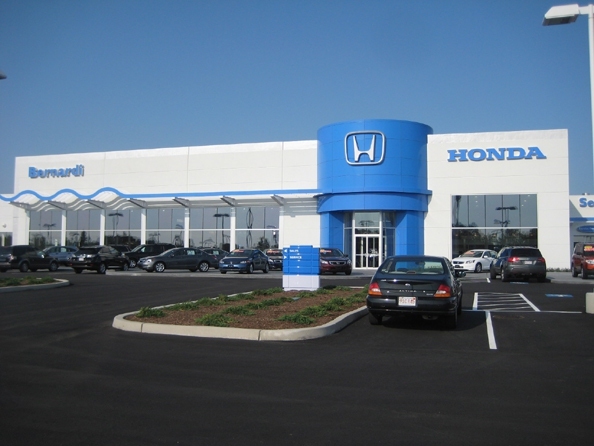 The Grand Opening was held on December 20, 2005 and we went there to make sure the installation went smoothly.? 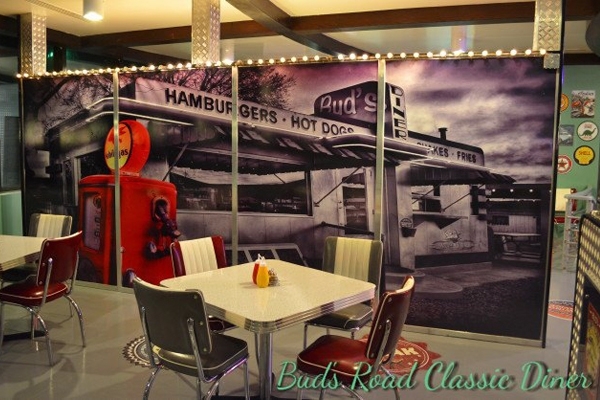 The retro restaurant furniture arrived in perfect condition and everyone loved it all. 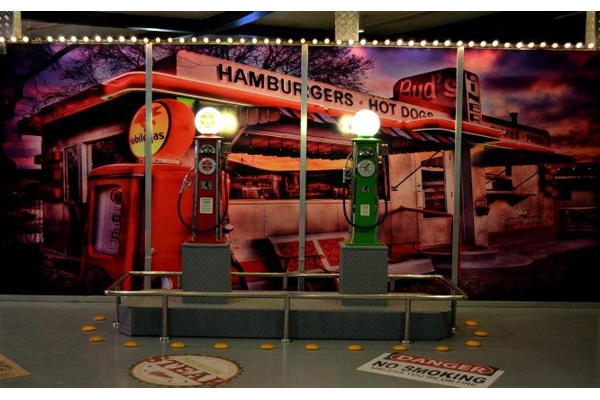 Click Here to see the images from the opening night.? 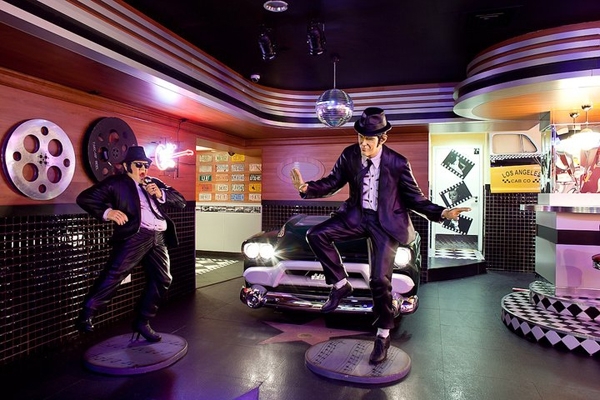 There was excellent live entertainment provided by Aaron Saxon and Shane Wilkie.